WordPress website design Dupage County IL CLICK HERE! 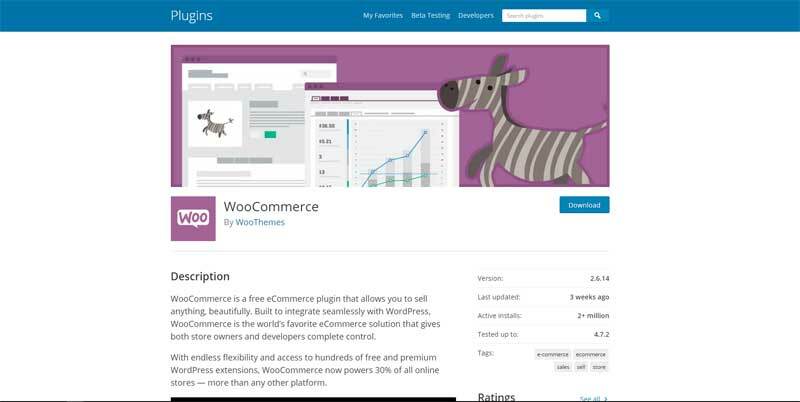 Zeros Ones WordPress developer develops websites using the popular CMS software WordPress. WordPress is a free open source content management system (CMS) based on MySQL and PHP. Are you looking for someone to provide a complete WordPress website or blog? Or just some help getting your WordPress website or blog up and going. We can help with WordPress website design Dupage County IL. Partial list of cities in Dupage County, IL we serve with local WordPress website design services. commercial websites and blogs or personal website or blogs. WordPress website design typically is fully optimized for the mobile user experience. Flexible and responsive WordPress website design. Partial list of WordPress development services. If you don’t see what you are looking for give us a call. For WordPress website design Dupage County IL call us. and our Standard website/blog WooCommerce eCommerce solution. Installation of latest version WordPress. One Contact Form with email notification and Captcha with Google map. Installation and setup Yoast SEO Optimization WordPress plugin. Installation and setup Contact Form Builder. Installation and setup WordPress active XML sitemap plugin. Installation and setup WordPress active HTML sitemap plugin. SEO search engine optimization tuning for all static web pages. Bing and Google search engine website or blog registration. Create Google Webmasters account using a Google gmail account. Verify website ownership in Google Webmaster account. Setup and link website property to Google Analytics account. Submit website and XML sitemap to Google. Create Bing Webmasters account using a Google gmail account. Verify website ownership with Bing Webmaster account. Submit website and XML sitemap to Bing. Only $395.00 one time price. Images used for website not included. Images can be purchased from image depositories like iStockPhoto. Usual image cost range from $12.00 to $30.00 per image. Images can be used multiple times. Domain name registration and website hosting are also additional. You can pick a hosting provider or we can recommend one for you. One time set up fee of $125.00 for this WordPress website or blog with CloudFlare CDN and CloudFlare Flexible SSL WordPress website package. Other add-on WordPress services we offer. Service includes create Google gmail account or use other email account such as yahoo email that will be use to create Google Webmasters, Analytics, and Bing Webmasters accounts. We will also set up the website property in Google Webmasters Tools, Google Analytics, and Bing Webmasters Tools accounts for the domain. We will also verify the domain with both Google and Bing. Must have FTP server access to enable service. 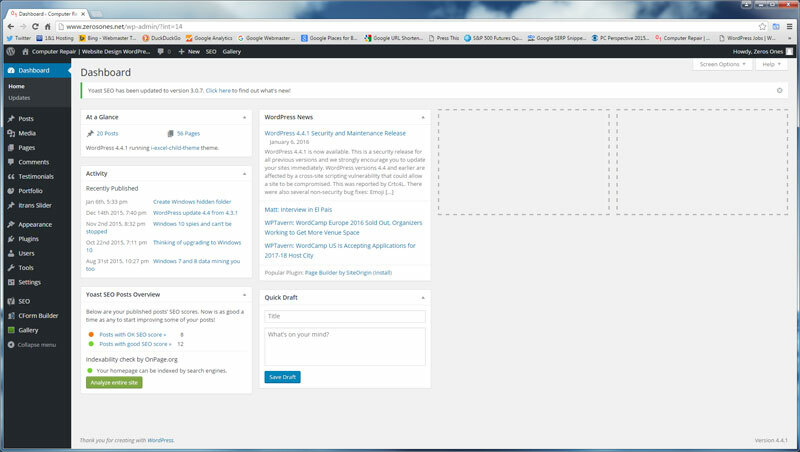 Additional WordPress add-on, plug-in configurations also available. Interested in hosting for your WordPress website or blog we offer that too. please email or call us or use our contact form. Get extra SEO value by securing your website or blog with https. Give your website or blog visitors the confidence and trust of the green https and security lock in the browser url box. When thinking about your web presence think WordPress as the solution. For WordPress website design Dupage County IL call Zeros Ones today!